I love a good stereo – I do believe in the property of diminishing returns in the stereo world though. I am a sucker for good hifi and but also to go along with my belief and idea of life – the stereo needs to be balanced to the situation. I love loud booming, outrageously overpowered system that sounds crystal clear at any level, but it’s not always necessary or ideal. So in the Lexus (my hot-rod) I put in a decent system with more power than it needs. I am anti-subwoofer though -I hate the space they consume. So I went to town with “good” stuff – navigation/video head unit – polk audio amp and polk audio mm speakers all around. The big change was that for the first time I used a Class-D amplifier; a Polk PAD40004. I was curious. it was a decent size for power and boasted good specs and promised efficiency – to my delight it sounds awesome. This got me to thinking, these things are tiny, have good reproduction, and are really efficient. It wasn’t long before a slew of mini class-D’s came available. Clarion XC1410, Alpine ktp-445u, and Pioneer GM-D1004 are a few that have taken it to the extreme that I would like to bring up today. These in particular do not require you to run all kinds of crazy amplifier wires all over the car. I am a big fan of simple and easy – these guys offer that very thing but do they follow-up with what they claim. I do not have experience with all three – just the Alpine and the Pioneer, but I will be talking about the form factor and the idea more than the individual products. Whether you call it “compact” or “micro” the GM-D1004 will wear the name proudly. With the size equivalent to slightly smaller than a standard red brick, you’ll have no problem finding a place to mount it or conceal it behind our short chassis Digital Media Receivers stereos, glove box or even in the center console. It may be small but don’t let the size fool you. The GM-D1004 is capable of delivering up to 400 Watts of maximum output and is more than comfortable providing 45 Watts of power per channel, that’s more than enough to improve the performance of your factory or aftermarket speakers. Today more and more music lovers are taking their music off-road and finding ways to enjoy their music recreationally. With the GM-D1004 you can add great sound to your motorcycle, ATV, or boat where a conventional size amplifier may not fit. For DIYers, the GM-D1004 amplifier is not only small and powerful but it’s easy to install. Simply connect power and ground at the radio and get more installation flexibility using hi-level or low-level inputs with a signal sensing remote turn on so you can use it in combination with a factory or aftermarket headunit. So I have purchased and installed 3 of these little guys and have been using them for several months now. I think the sound quality is as good as any recording out there (revert to the idea of balancing your audio), they are super easy to install, and get perfectly loud enough for any normal motorist to appreciate. So lets look at at my experience with the first one. This is my review on amazon shortly after the install and testing of the amp. For a combination of the money, size, ease of installation and quality – this is an awesome little unit! I installed this in my 3rd gen Honda CRV and couldn’t be happier. I soldered everything together for the new head unit and the amp without even opening the car door – literally on the couch watching football. all I had to do was plug and play when it came down to working in the car. To make a direct comparison will be hard as I replaced the head unit at the same time with a pioneer mvh-x560bt and the quality of sound is awesome! I am using Polk db 6.5″ speakers in each door (components in front). I wanted to hide an amp behind the dash (there is a lot of space behind the crv dash) and I knew I didn’t need to blow the doors off of anything so I figured this would be more than enough to give some decently full sound and the ease of wiring was a dream. I have always hated running amp wires all over the place – this solved that problem by using all the factory stereo wires – I did create a new chassis ground for the relatively beefy ground wire that it comes with. The power wire is the same gauge and some would recommend running a power wire to it from the battery with a fuse, especially if you plan on maxing it out regularly. If you plan to enjoy tunes and have a conversation and not blow your kids’ eardrums out – using factory stereo wiring is fine for the power wire. It took me to turn it up to uncomfortable levels to get it to start to have power and heat issues. To mount it I used double sided tape and zip ties to secure the amp behind the dash you wouldn’t even know it’s back there. There are no gain knobs – I personally love this feature since it’s tucked away behind the dash and making gain adjustments post install would just irritate me enough to not do it. It comes down to what you want. I wanted a simple, decent sounding, and easy to install amplifier at this little guy delivered on all fronts. If you want BIG sound and lots of control – this will not make you happy. I am actually planning on getting another one of these for one of my other cars. I was slightly excited and over the top, mostly because I didn’t have to run an amp wire. But in reality, I did all the wiring outside of the car. I purchased a harness and dash kit for the stereo (vehicle specific) and did my work to solder and shrink wrap all connections for the new head-unit and the amp sitting on the couch watching football on my couch. This is cool and way better than fishing wires all over your car for hours and hours – without football. Literally the only time in the car was disassemble the dash, mount the amp to something, and reassemble the dash with new stereo – just plug and go (I did use a ground lug). All the time was in the dash disassemble and reassemble, not fishing wires. So install is a breeze, I think we all sort of knew that – perhaps underestimated the magnitude. So what about functionality? Is this going to satisfy my auditory needs? This is the question, to which the answer is dependent on yet another question; what do you want? This thing fit the bill for me with the project – I wanted decent sounding stereo without taking up ANY cabin space and simplifying any wiring. I first installed the speakers and used stock wires about a year prior to doing the head unit and amp – I installed the tweeters for the DB 6501’s and this was the hardest part of the install, I drilled out the holes and used the provided mounting cups and ran the wires to the crossovers mounted behind the stereo. So the woofer just used the old speaker wire. The rears was basic swap. I did go through the trouble of doing a lot of sound deadening work in the car which included damplifier pro and luxury liner pro. what i was left with was stereo that was in major need of a new and more powerful source. I was hoping for my daughter to get a bit older so i could do multizone entertainment unit, but I figured i could start here and allow the safety of hands free calling and also the advantages of Bluetooth audio and Pandora. 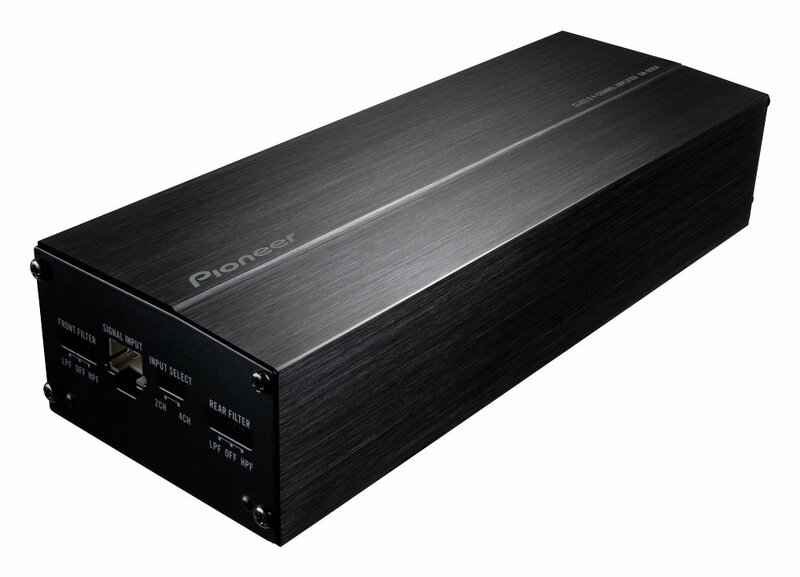 The Pioneer MVH-x560bt was what I picked and it does alright. (Yes I am a bit of a Pioneer fanboy). 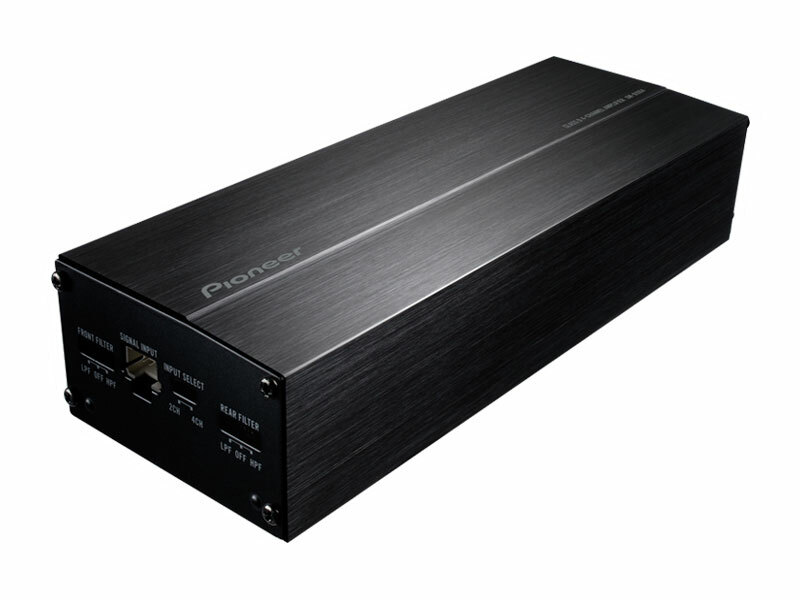 So going from stock unit to the Pioneer head and amp combo – the difference in sound was astounding. The power behind it all and the increased clarity were awesome. The amp can help clarity, but it will not produce it. With this in mind, I have absolutely no issues with the clarity that the stereo produces – it is very good. It is not astounding or mind boggling – but it is very good. Mostly listening to MP3’s so my clarity meter is set fairly low to begin with. Even the highest bitrate mp3 is still compressed audio. People say heat is an issue, and that might be true if you push the thing to the max all the time, but if you want to enjoy tunes at more than reasonable level in full range – these amps will produce results. I decided to do a second car, this time keeping the stock speakers and only doing head unit and amp – same process as before – exactly, football and all. before i went to the gym – in the 99 accord, I took the old one out, plugged in the new one, mounted and drove off in less than 20 minutes. The sounds is way better than it was before, and the ease is just awesome. When I look at the install I did in my Lexus, big Polk amp in the back and head unit up front and all new speaker wires, I ask myself how much better is it than the other cars i just finished. there are discernible differences, the separation is far more clear in the Polk mm than the DB’s and far more in the Polk DBs that factory – but I knew that as I first used the DB’s in the Lexus (why I have a few extra sets laying around). I was so concerned with clarity AND power that I might have gone overboard, but it does really sound better. the power behind it give a more consistent tonal balance through the volume range than the peanut amps do – but that is to be expected going from 100w RMS per channel to 45w RMS per channel. It is not the fault of the amp – rather the expectations going into it. I can blow my eardrums out with super clear tunes in the Lexus for hours, but I can tell you in the CRV – I don’t want to do that. I want to relax and enjoy conversation or listen to my daughter play in the back (she’s less than a year old). When I am alone I can enjoy some tunes and not kill myself, perhaps its me getting older but I just don’t want to blow my ears out anymore (I know; If it’s too loud, you’re too old). In the end, I have taken up no space – I have more than acceptable audio quality, hands free, and I have not torn up the car running wires, mounting amps, and even got to watch football during the “install.” If you are looking for simple and decent power – these little guys can fit the bill. I suspect you need to find the one that works for you. I like the Pioneer more than the Alpine because its wire and go – there is little to no adjustments to worry about, and I am interested in full range on all speakers – it works great. I can make all my adjustments from the deck. Messing with gain has always been a giant PITA to me and I didn’t want to do it anymore. So the bottom line; do these amps live up to the claims? It would be my experience that they live up to the claims. They do not claim to turn your car into a rock concert, review the claims as listed above. Variety of Installs – due to its simplicity and efficiency, this is true, it is a favorite among motorcycle guys that do not have the serious alternators of larger cars. Flexible connectivity – yes, power, ground and all the other connections you could want from an amp, both high and low level inputs. Sounds like we are a win as long as you set your expectations accordingly, but that’s true for every product. I can tell you that for less than 200$ I purchased a deck, amp and all install parts for the accord and it sounds more than acceptable, both clarity and volume. That’s pretty darn tough to beat. to put 400 watt peak into perspective, the factory stereo and amplifier that came in the Lexus IS300 is a 320watt peak amplifier. The installation of this little guy would add 25% more power than a “nice” factory stereo system, and it’s smaller – that’s neat. We currently are offering a plug and play stereo system utilizing these amplifiers in the TUI Motorsports section, please let us know how we can help you.